This blog is produced by Christopher J. Davies, co-founder of Wine Country Network. Global in perspective, the author interviews travel industry experts, airline executives, hoteliers, celebrity chefs, sommeliers, mixologists, winemakers and proprietors, photographers and spa/wellness experts. Top Chef Season 5 concludes tonight. Who will it be? I am rooting for Hosea because I know from past experience that he has what it takes to win tonight. Before he made it to Top Chef Season 5 fame, Chef Hosea Rosenberg of Jax Fishouse in Boulder, was a two time "Best Chef" at the Denver International Wine Festival. 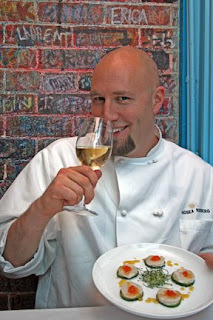 In 2007, Chef Rosenberg won the Taste of Elegance Chef's Food and Wine Competition. Story and Photos by Christopher J Davies, except where noted. Last weekend we had the pleasure of taking our annual foodie pilgrimage to the fabulous Broadmoor in Colorado Springs. The resort is set on 3000 beautiful acres, with four award-wining championship golf courses (that will play host to the 2011 U.S Women's Open) , 593 guest rooms, 107 suites, gargantuan 185,000 square feet of meeting space, 6 tennis courts, a full service spa, 18 restaurants, café's and lounges. Guest rooms are lavishly appointed and opulent. 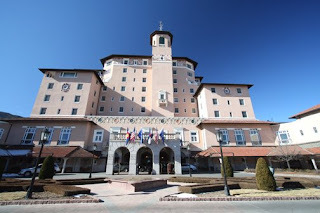 Ours was located in the original main building with a birds eye view of Cheyenne Mountain and the resort’s own Cheyenne Lake. Our bathroom was totally renovated with marble tile, modern glass enclosed shower and a large five-fixture bath. 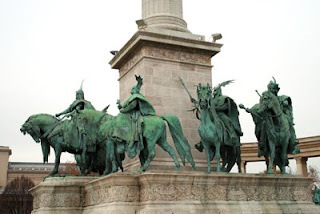 Budapest (pronounced/ Buda-Pesht), capital of Hungary, is in my opinion one of the most beautiful cities in Europe. During the cold war it had a reputation for being “the Paris” of Eastern Europe. The city is actually a combination of two cities Buda and Pest that are separated by the Duna (Hungarian) or Danube River. When I first visited Budapest in 1992, the inhabitants were still trying to grasp with their newly obtained freedom. The Soviet Union was officially dissolved. While this was mainly positive, some locals resented the jump in expenses that they incurred with freedom. I am a photo journalist, magazine publisher and radio host. As co-founder of Wine Country International magazine, I have the pleasure of traveling the world to taste and enjoy delicious wines and cuisine. I am currently also completing my first fiction novel titled "Finding Houdini".